After you pay off all principal and prorated fees, your lender will release your deed. 1. What Are the Estimated Prepaid Items on an FHA Loan? 3. What Is a Shortage in My Mortgage? When you terminate your mortgage for any reason before the end of the term of the loan, you or your closing attorney will receive a payoff statement. That payoff statement will show the total payoff balance plus any additional prorated amounts owed for accrued interest. If applicable, your mortgage payoff statement will also show the prorated amounts due for private mortgage insurance, real estate taxes and homeowners insurance. 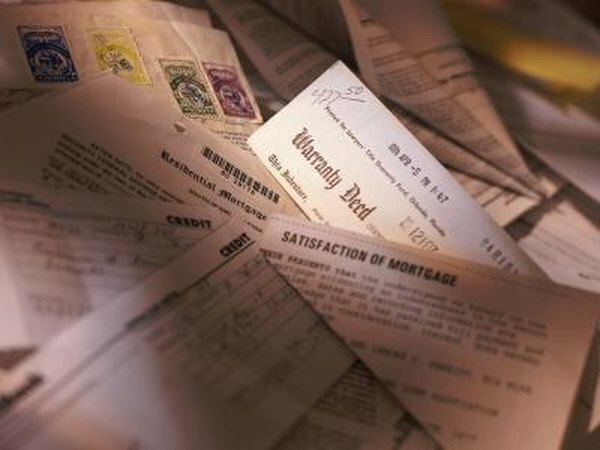 Your mortgage payoff statement is the document your lender prepares for you when you act to pay off your mortgage before the end of the mortgage's term. You need a payoff statement if you sell or refinance your home or use an inheritance or proceeds of a stock sale to pay off the remainder of your mortgage. The payoff statement shows the outstanding principal balance, accrued interest and any applicable prepayment penalties through the date shown on the statement. If you are selling or refinancing, your mortgage payoff statement may also show the certificate of satisfaction or release deed issuance, credits for tax and insurance escrow reserves and the amount of any prepayment penalties. Except for the mortgage balance, all the amounts that typically appear on your monthly statement are paid in arrears. Therefore, when you terminate your loan, you must pay prorated amounts. "Prorated mortgage" refers to any of the items shown on your mortgage statement that may be prorated. These items include mortgage insurance premiums, mortgage interest, real estate taxes or homeowners insurance. "Prorated" means that your payoff statement multiplies your monthly payment for each of these items by the number of days until closing divided by the number of days in the month. If you put down less than 20 percent when you purchased your home, you may pay PMI. Your payoff statement will state "prorated mortgage insurance premium." Depending on the payoff date shown on your payoff statement, the amount shown for PMI may be as much as two times as much as your usual PMI payment. If you have an FHA loan, regardless of the closing date on the sale or refinance, you must pay PMI through the end of the month you close in. Your payoff statement will reflect the prorated portion of your accrued interest. If your payoff date is set for a closing date in the current month, your prorated mortgage interest will be less than your monthly payment. If closing is set for the next month, your prorated mortgage interest will be more than your monthly interest payment.